Wow, three posts in one day. What am I doing? About a week ago I noticed a few dry patches on my face, usually this indicates that my skin has gotten accustomed to my skin products and I need to change my routine. 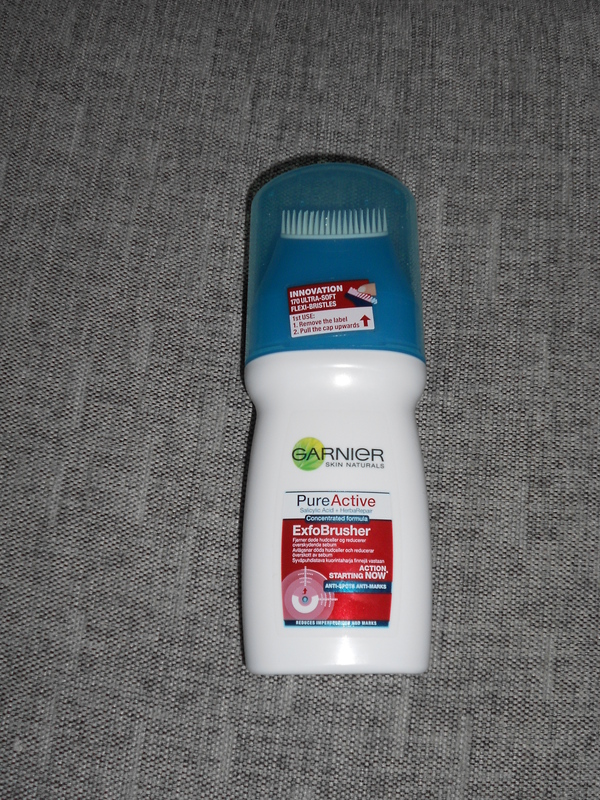 With spring just arriving here it’s not really a weird thing that I need to switch products. 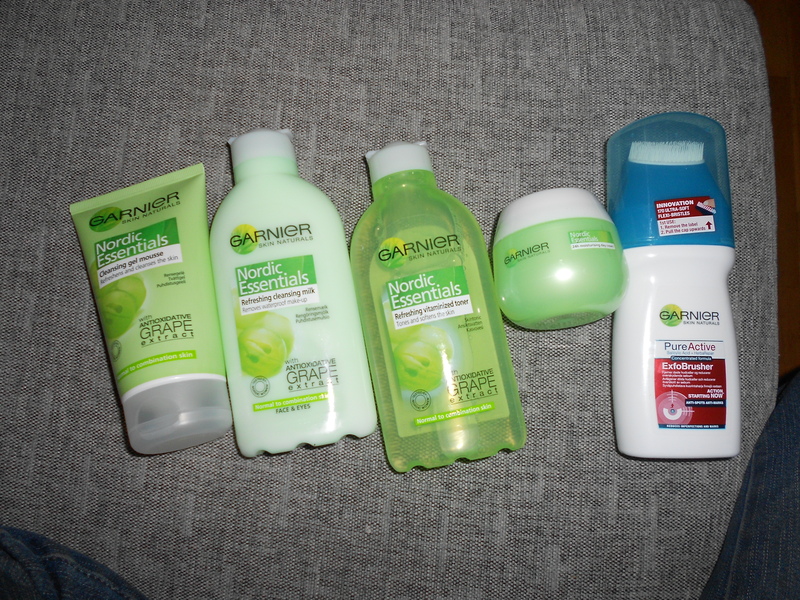 I decided to try the Garnier Nordic Essentials range. I chose the one for Normal/Combination skin and I might combine it with a thicker moisturiser just until the dry patches are gone. Anyway, these are the products I got. Two Cleansers, one Toner, one Moisturiser and one Exfoiliating Brush. This will probably be the product I’ll use for cleansing, it comes out as a gel and when you massage it onto wet skin it gets a foamy mousse like texture. I usually don’t use cleansing milks, but I bought this to use as a make up remover. The bottle says it removes waterproof make up, and since I rarely use Mascara that isn’t waterproof that’s important for me. I haven’t tried it yet but I hope it works. A fresh toner with a light pleasant fragrance. It’s been a while since I actually used a toner. It claims to tone and soften the skin. I’m not so sure about the 24h claim though, it feels so light. I’ll use this morning and night. I’m going to let thir absorbe in the mornings before putting my BB-cream on, atleast until the dry patches disappear. 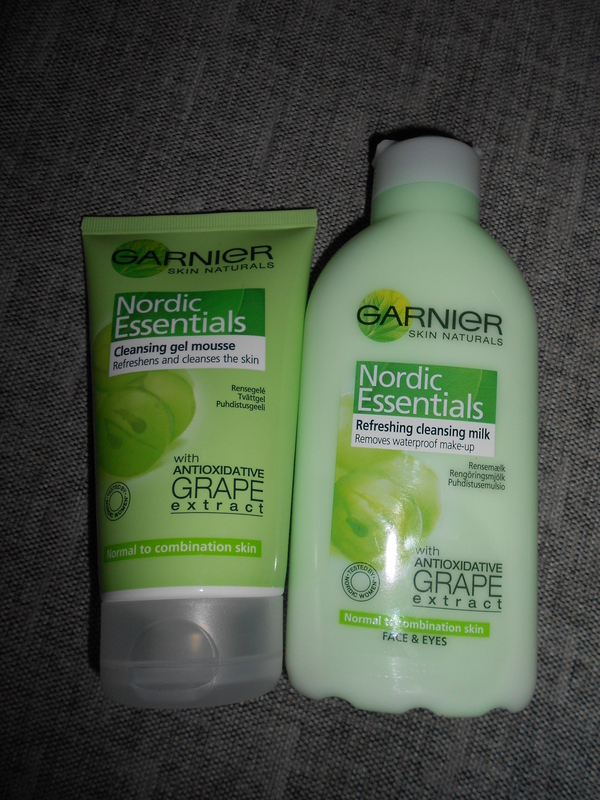 The Nordic Essentials Range didn’t have a face scrub, so I got this one instead. I’ve wanted to try an exfoiliating brush for a while sincethey seem milder to the skin than some scrubs. This product is for imperfections, spots, pimples, clogged pores and impurities, and reduse sebum levels. I don’t get pimples so often and overall my skin isn’t that spotted. But scrubbing is always good. The bristles are soft and I hope the formula doensn’t dry me out, I don’t really have exessive sebum, but latly I’ve had clogged pores and a few blackheads, so I hope it helps that. I will be back with a review on all of teese when I have used them for a while. 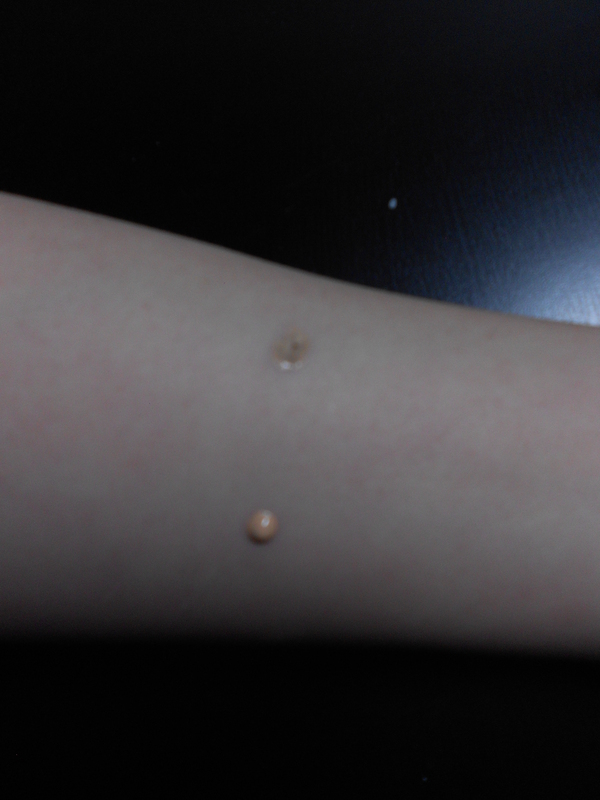 As promised here’s a colour swatch and comparision of the Garnier BB-Cream in Light and the Maybelline BB-Cream in Light. As you can see the top one is clearly visible while the bottom one is almost completely blended. So the maybelline one was a far better match for me. I can’t say yet how it works since I’ve only used it ones. So I’ll get back on that. 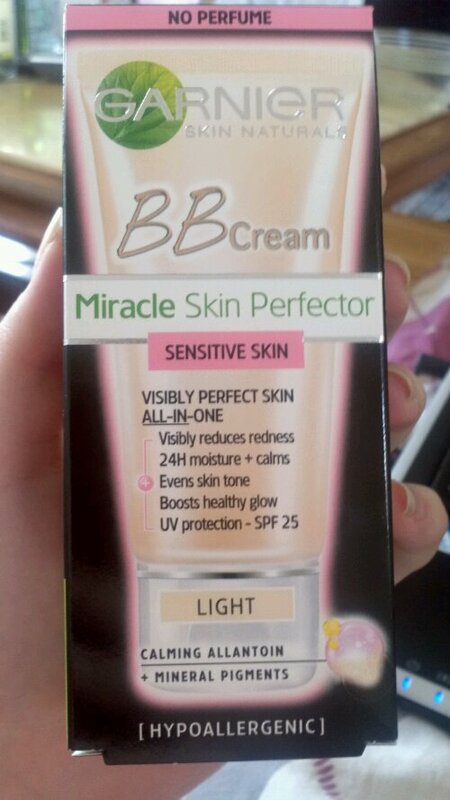 Today I bought another BB Cream.. 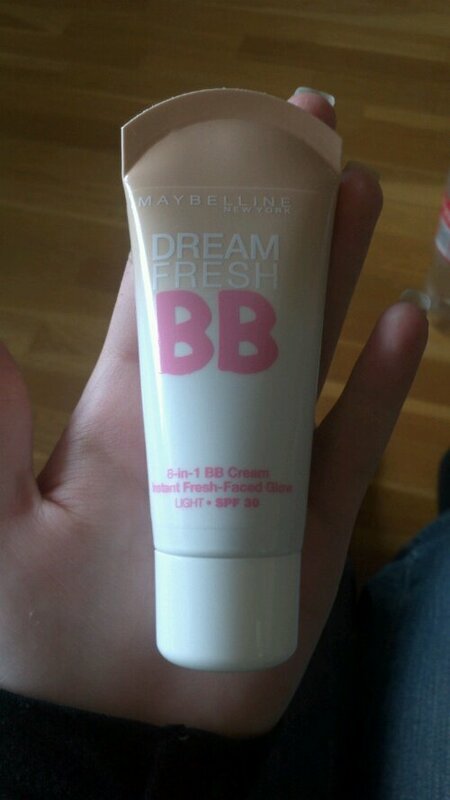 This time it was the Maybelline Dream Fresh BB. 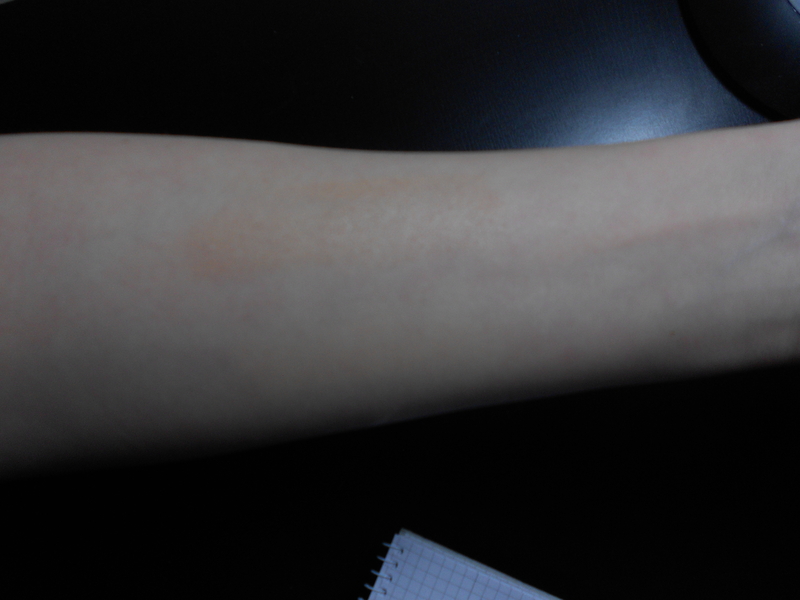 The Garnier BB Cream I bought was slightly darke/orange for my skin. It might work in the summer when I get a tan. We’ll see. I put it on a few minutes ago and the colour is a lot better for my skin tone. It feels light on the skin, but that’s about the only thing I can say about it right now. I’m going to try it for a few days and get back to you. Later today I will post a colour comparision post with the two BB-Creams, I’m just waiting for my camera to finish charging. I’ve also bought some new skin care products which I will post a picture of either tonight or tomorrow. Review will be up later. 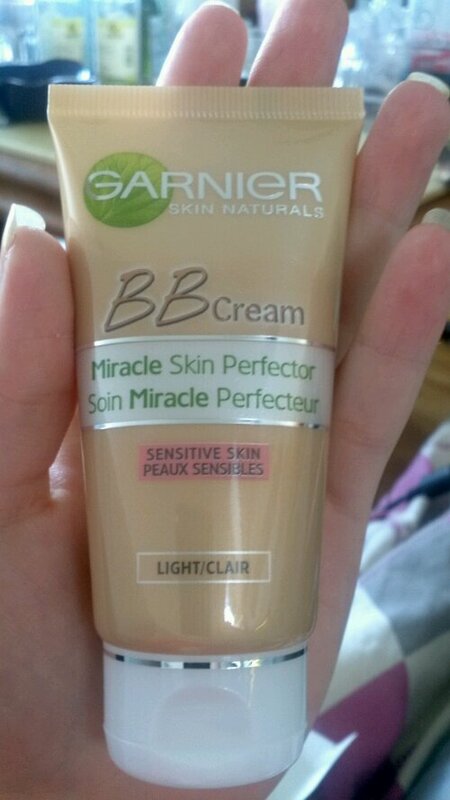 Today I got my first BB-Cream ever, I decided on the Garnier Miracle Skin Perfector BB-Cream for sensitive skin. 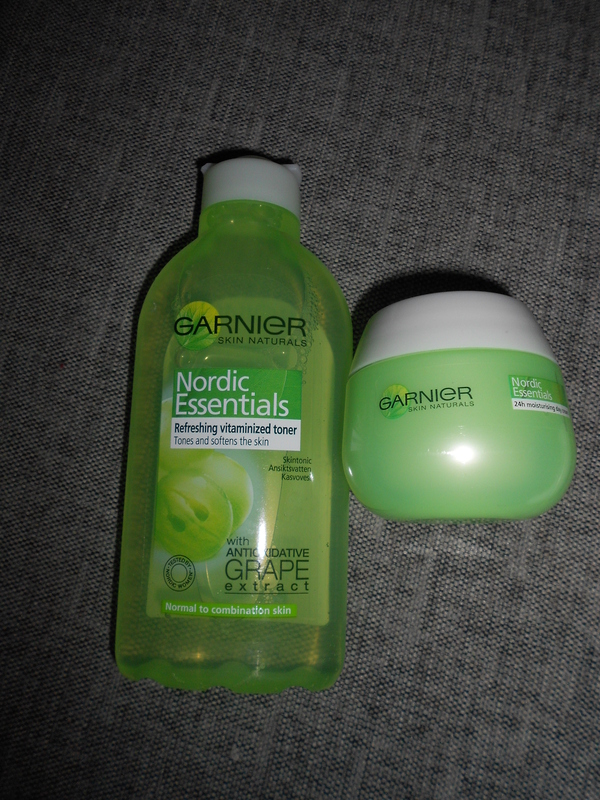 I chose this because I usually like Garniers products, and I picked the one for sensitive skin because it doesn’t have perfume in it. I hope it works, I’d still like to try other BB-Creams to have something to compare with. But this is a start. I’ll try this either tonight or tomorrow. But I’m not sure if I’ll post a first impression review on this or not. I might just wait until I can make a larger review. Wow… I have fallen of the face of the blog world. I know I’m not very active, and to be honest, that’s because I just haven’t been that commited to either the blog or myself resently. Usually I just come home from my studies, sink down in the couch and rest until I make dinner and then watch tv until I go to bed. I barely do my skincare routine either. But I’m planning to change that. I’m interested in trying out a BB-Cream, is there anyone who has one to recomend? I would like to buy a few and do a comparision review, but I’m not sure if I can spare money for that. I recently discovered that I have bruxism and need an acrylic splint that costs way more than I can afford. Also I have no ideas for post so any wishes on that is welcome to.